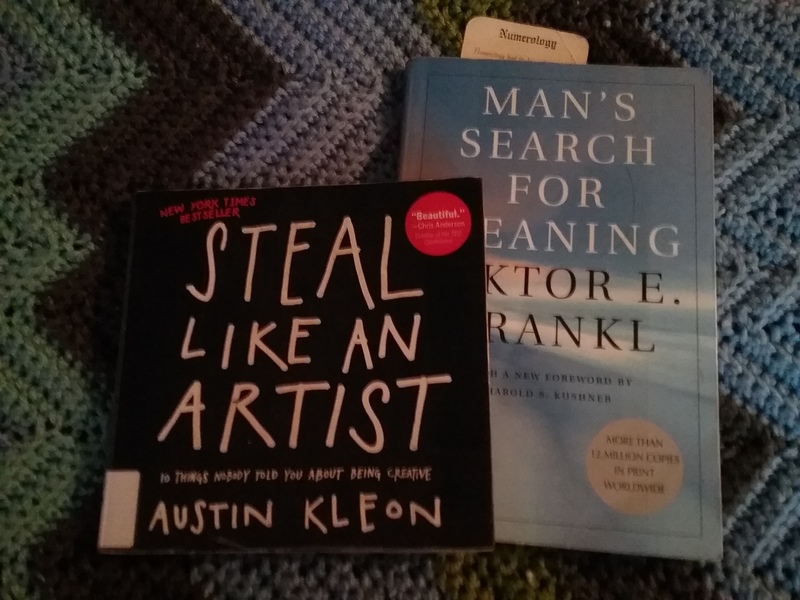 “Steal Like an Artist” by Austin Kleon and “Man’s Search for Meaning” by Viktor Frankl, 2018. My year of rereading is falling apart somewhat. I started reading Viktor Frankl’s “Man’s Search for Meaning” after hearing it mentioned a couple of times within a week. It’s a book my eldest son recommended to me a while ago, but given what is happening in our country currently, it felt like now was the time to read it. It’s an excellent book that explains how Frankl, the survivor of 4 concentration camps during the Holocaust, found the meaning to keep living through such horrendous conditions. While reading “Man’s Search for Meaning,” I also read Austin Kleon’s “Steal Like an Artist.” This light-hearted book is an easy read but gives straightforward, practical advice on living a creative life. It’s the sort of book that I’d love to see used in a college course for artists, writers, musicians and other creative types. It’s a very encouraging book and, in keeping with my year of rereading, this is a second read of the book for me. That said, I have 2 other books from the library by my bedside that I haven’t yet read before, so it looks like I’m going to spend the second half of the year mixing new books with old. We shall see ….